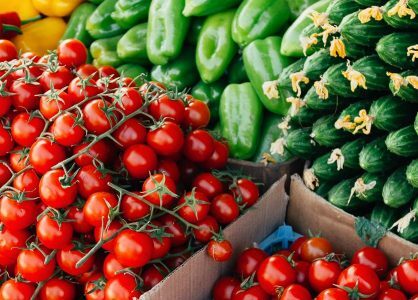 The Croatian capital also has beautiful and tranquil natural green spaces, delightful parks and tree-lined streets that greatly contrast with the vibrant and noisy urban city centre. Zagreb’s semi-wild forest trails start in the heart of the city and meander all the way to Medvednica Mountain. Along the well-trodden routes you can admire cultivated greenery and breathtaking scenery. 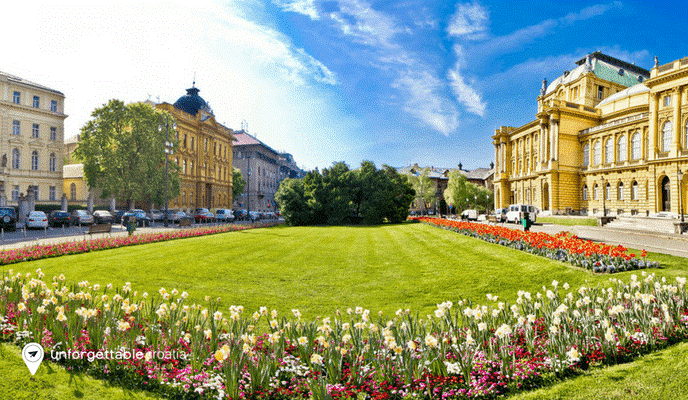 Discover Zagreb as part of a Croatia multi-centre holiday with Plitvice Lakes, Split, Hvar and Dubrovnik, or as part of a Croatia cruise holiday with a luxury Split to Dubrovnik cruise. The Lower Town is home to seven stunning parks that are interwoven into a horseshoe shaped green tapestry. 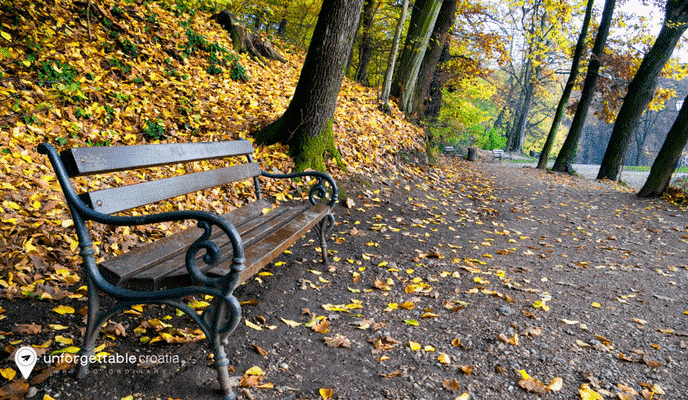 Zrinjevac Park is the perfect place from which to begin to discover of Zagreb’s lush greenscapes. As you traverse the U-shaped Lenuci’s trail you can admire the fragrant flowerbeds and enjoy the vista of the lily-covered pond from the comfort of a bench. 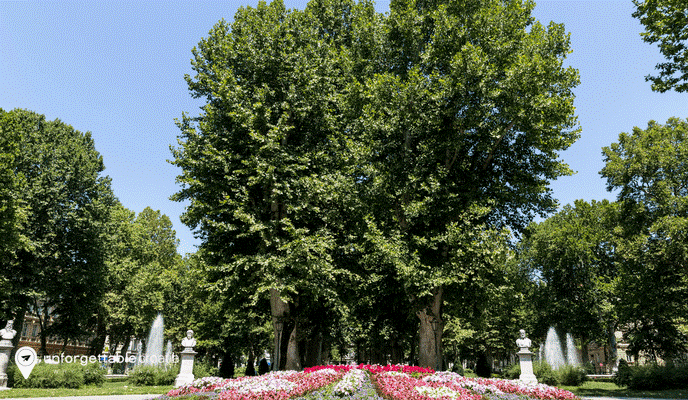 Life in Zagreb’s magnificent parks goes at a much slower pace. Sitting in a shady spot under a leafy tree you can while away the hours daydreaming or making plans for the rest of your day. Take time out to enjoy the wonders of nature in the city centre. Stop off at the Botanical Garden to explore the English-style arboretum, and more than 10,000 plant species. Zrinjevac Park also hosts outdoor events and festivals throughout the year. Rokovo is another natural beauty spot that is well worth a visit. Unlike the other parks in Zagreb, this green space is small and intimate. The peaceful and tranquil park boasts the 17th century Church of St Roch and a charming sculptured fountain. Maksimir is the oldest public park in Zagreb. This stunning green spot is part of Croatia’s cultural heritage and home to many different plant and animal species. It’s also a great location to get away from the noise and bustle of life in the city. 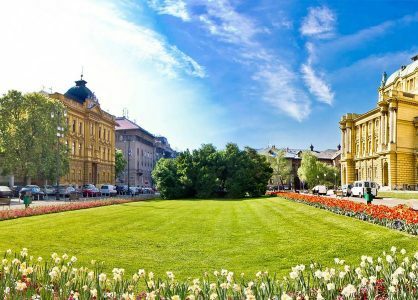 The landscaped park was established in 1787 in order to give the people of Zagreb somewhere beautiful to relax and unwind, and was originally modelled on the open green spaces found in England’s countryside. The preserved park covers 316 hectares and boasts tree-lined avenues and densely forested areas. There are also five lakes, numerous follies, a mock Swish chalet, a children’s playground and a café. The lush and leafy Tuškanac Forest invites you to lose yourself in the magic of nature. In this spectacular scenic spot there are no landscaped lawns, signposts or cafés. Instead, Zagreb’s forgotten wilderness features appealing nooks, winding trails and greenery that is effortlessly displayed just as nature intended. You can easily spend hours roaming the large green area that forms the slope of Medvednica Mountain, or the woody and balmy heart of the forest. Jelenovac Forest is a popular green area for local residents to visit. Covering almost 50 hectares, the forest is named after an influential 14th century judge’s son, who once owned the land. The walking trails lead you to stunning arrangements of oak, beech and acacia trees. This is a great picnic location for all the family. 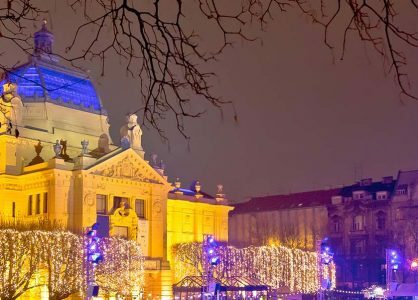 Call our Croatia travel experts today to arrange an unforgettable holiday to Croatia taking in Zagreb and more stunning destinations. Add in a Croatia cruise to explore the beautiful islands of the Dalmatian Coast and taking in the bustling centres of Split and Dubrovnik.